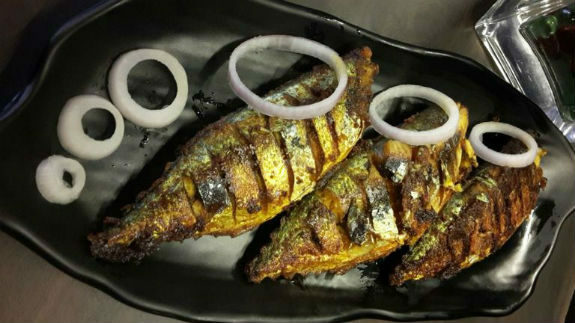 Ayala also known as Indian Mackerel is one of the most liked fishes in Kerala specially fried one. This can be eaten alone or with rice or mashed potato. Heat oil in a shallow pan. Slide fishes carefully, cover the pan with lid. The deepness of frying is purely according to ones own preference. Check after 4-5 mins. especially the underside if its cooked and crispier. Turn the fish carefully to other side again cook and crisp.